Eiki manufactures and creates professional grade projectors for the conference room, house of worship, business, and education markets. Constantly perfecting their craft, Eiki offers an amazing line of super bright, high Lumen conference room projects that are suitable for any environment, screen size, or resolution. 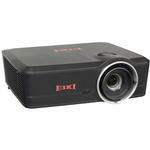 Eiki offers several projectors types from portable low lumen models to the ultra-high-end laser projectors. 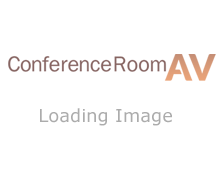 These Conference Room Projectors offers a wide range of resolutions, connections and amplified built in sound systems. For larger venues such as Houses of Worship, conference halls, or auditoriums, check out their high Lumen Laser Projectors with HDBaseT outputs. In addition, Eiki carries a wide range of Projector Lenses, to match your throw and focus requirements. No matter the size of the screen or the throw distance we can find a projector for your needs. To get an Eiki projector product recommendation, please contact our highly trained staff via phone 888-999-3759 or live chat.